New stock for 2019 has arrived at our Kunda Park warehouse! to discuss availability or customize to your needs. SmartForks are your Local Lifting Consultants. Whilst keeping up with trends and maintaining a competitive edge, we endeavour to supply a high level of professionalism and quality in all levels of operation. We consider ourselves to have an excellent, well-satisfied customer base in all areas including the hire and sales of all types of forklifts, regular routine maintenance, repairs and parts supply. SmartBuy and own your own forklift. SmartForks has access to a range of new and used forklifts. Let us negotiate with you covering your specific needs to purchase your ideal forklift. LPG, Diesel and Electric Operation, 1 to 25 tonne, supplied to your specifications. SmartHire your forklift and concentrate on what you do best. Don’t let forklift hassles and repair cost blowouts hinder your progress! SmartForks specialise in hiring and maintaining forklifts – that’s what we do best. Did you know SmartForks may buy your forklift? SmartService your forklift. Our company is striving to provide the best possible outcome through continuous improvement of the operational standard and safety of each machine we service and repair. 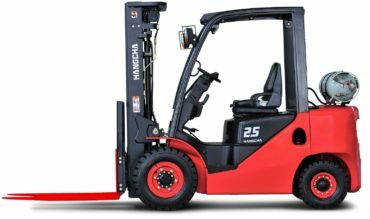 Smart Forks now distributes tough new Hangcha forklifts. "QuEvents specializes in delivering small - large scale outdoor music festivals and events on time and within budget. SmartForks helps us achieve this goal by providing our all terrain forklift needs. They offer flexible delivery and collection, super fast onsite service and competitive pricing. They are always a pleasure to deal with. A+"
"I was very impressed with SmartForks right through the hiring process and found the customer service, booking and invoicing process to be very well organised and presented. I would have no hesitation in recommending SmartForks services to those requiring fork lift hire services."